I'm sure you guys have been wondering where I have disappeared to. Posts were still appearing everyday but I stopped commenting on blogs. Sorry, but I was on vacation! Most of you know that I am currently living in South America so I took a vacation to the coast, staying at my aunt's condo for a few days. The trip was fantastic. 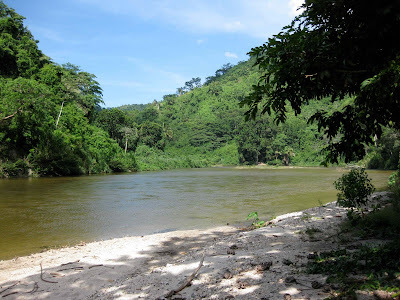 One of the highlights was a hike through the forest to the most gorgeous river you can imagine. 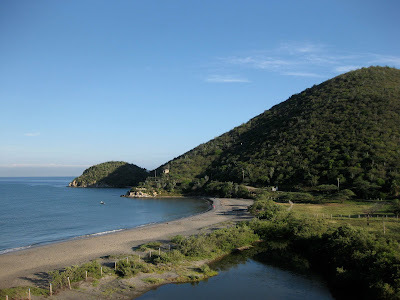 We then rode the river currents down towards the ocean on tubes. There really are no words to describe how beautiful it was and the pictures don't do it justice. Along the river bank monkeys played in the trees and birds flew over us. 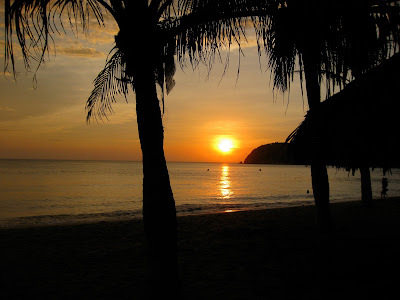 Of course there was also plenty of laying on the beach, $5 foot massages, mojito drinking and lobster eating. 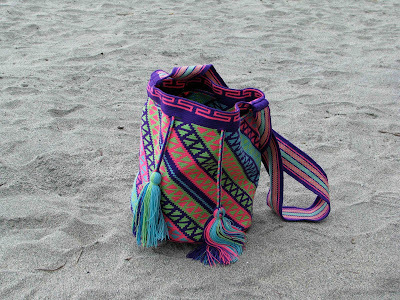 And shopping...there were some indigenous women down the beach selling mochilas (bags). 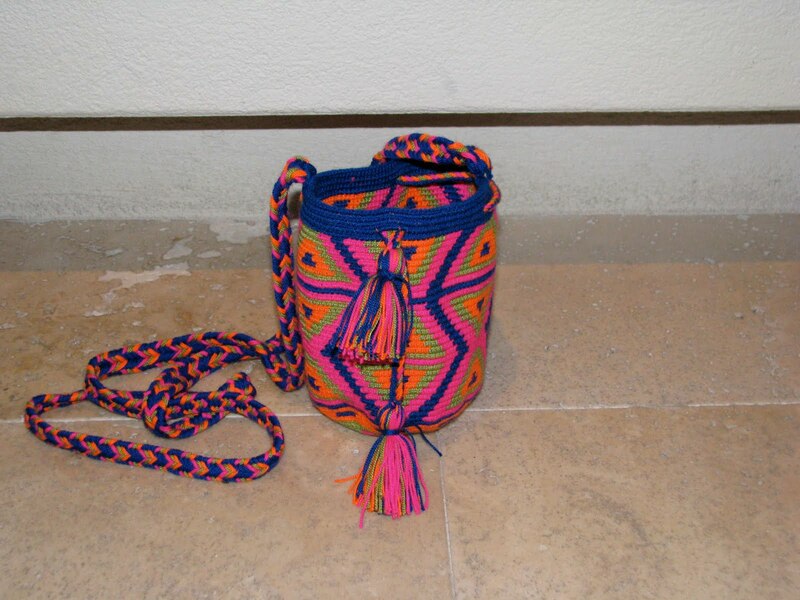 If you have been to Colombia bags made by indigenous people are a common sight and somewhat of a trend. I spotted a few that I loved and everything ended right there. I ended up walking away with a truck load of bags. Two for myself and the rest with the intention to sell. 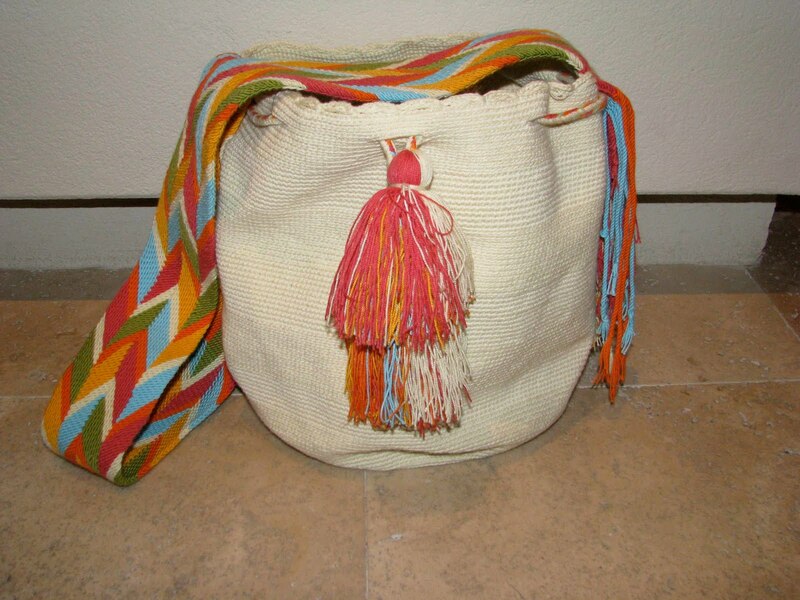 After I bought them I borrowed my aunts computer to do a bit of research and turns out the Wayuu mochilas are becoming somewhat of a trendy "it" item in North America. Even J. Crew was selling them but has already sold out. It's almost like I'm psychic. LOL. Each bag is hand-made by a Wayuu woman. 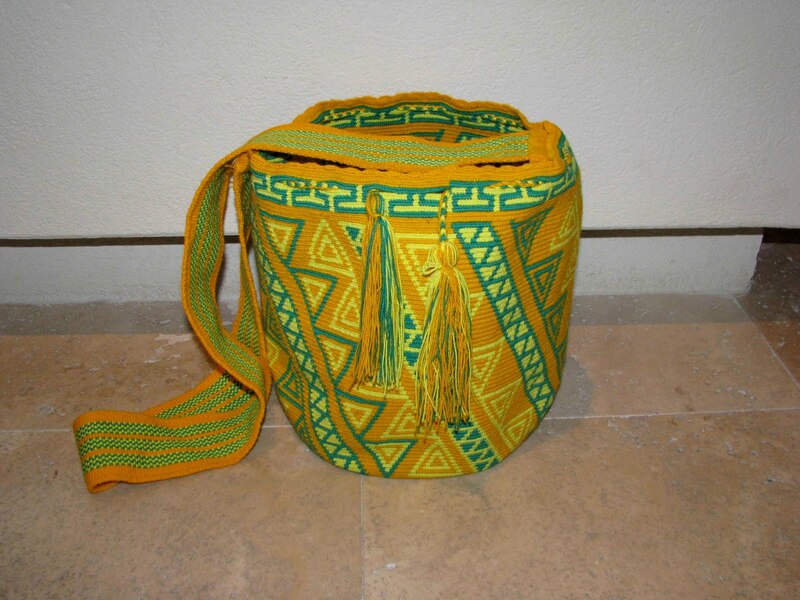 The particular bags I purchased were made by a group of 60 women working as a co-op. They all live together as a clan in what they call a rancheria. Each women has her own signature style and the bags all signify something special. For example certain design mean "the path of love", "wind", "rays of the sun", "coming of age" etc. If you want more info, prices, photos etc. 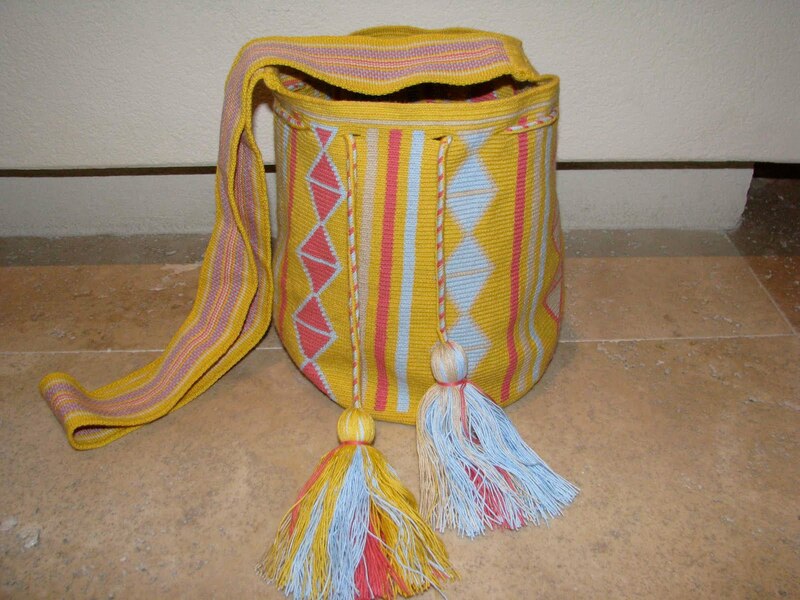 leave a comment here with your email address and I'll send you a PDF file with all the bags I have for sale. 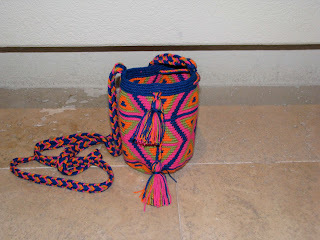 I'm working on setting up a website to sell these mochilas and others not pictured. I thought I'd give my blog friends first dibs before the website is set up. What a beautiful place! These pictures are truly amazing! View from condo? mad jealous. Looks like an awesome vacation! Thankyou for the comment on my blog! I'm glad you had a great holiday and the River trip sounds and looks amazing. 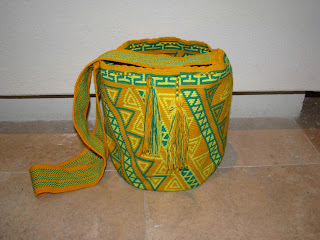 The bags look amazing, I love all the different colours and patterns. you should enter my giveaway! those bags are awesome, i would love to buy one! Mmmhmmm, mojitos and massages. Sounds good to me! These photos are so lovely, btw. Looks like you had a wonderful vacation! 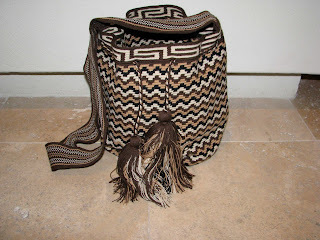 those tribal inspired bags are awesome !! $5 foot massages? wow I would get one every night before I go to bed lol! 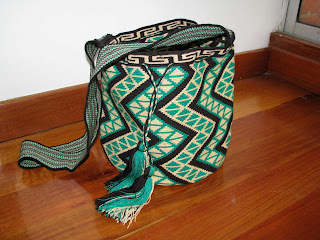 The tribal bags are awesome! You should start a site with these bags! WOW what an amazing place! 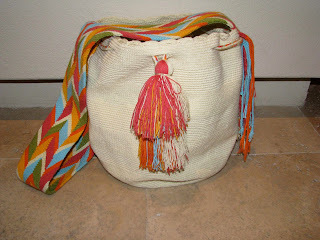 Love mochilas! they are so cute! hope you have a great summer izzy! These are such great bags! The green/yellow bag makes me weep with joy, oh my ! Please give me a chance to buy one. Beautiful spot. Would love to get there someday. I'm definitely interested in a bag purchase. Please reach out. um, so now i really want one of those bags!!!!! either the first or last, they are amazing. i would have though they were vintage had i only seen one. haha.